The cash flow dam is a strategy that converts your personal debt into tax deductible business debt. It’s similar in principle to the Smith Manoeuvre. Until relatively recently, this strategy was used primarily by higher-net-worth clients. Few others had heard about it. Many that did know about it were uncertain of the tax implications. That’s all starting to change. Nowadays, big financial institutions are starting to get in on the act. National Bank now has a cash flow dam webpage. Investors Group is promoting it as one of their tax strategies. Even RBC has an article on it. If you’re self-employed and interested in the cash flow dam, consult a good tax advisor. There’s a lot of caveats. From a mortgage standpoint, you’ll need a line of credit or readvanceable mortgage. 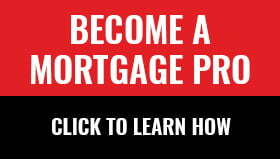 We or any good mortgage planner can help with that. I’ve been thinking of doing the cash flow dam as well. I thought it was interesting that CRA has nothing on it’s website about the “cash flow dam” (or “cash damming”). They seem neither for nor against it. Go to CRA’s web site. Type (in the search tool) IT533 this talks about interest deductiblity see section 16 “Cash damming”. They give a example of how to do it. Talk to a Chartered Accountant to make sure you set it up right and it makes sense in your case. What are the negatives to cash damming. ? We always recommend consulting a licensed tax advisor before considering the cash dam. We don’t usually advise on the merits or pitfalls because it’s not our core licensed business. However, advisors will likely tell you that there are implementation risks. There are lot’s of little caveats (e.g. you can’t pay your own salary from the line of credit and you have to structure and manage the bank accounts properly). CRA could invalidate your use of the strategy if they deem it’s done incorrectly. If you need a referral for an advisor, call us or any other mortgage planner.